Wasabi, or Japanese Horseradish, has a particularly pungent taste and scent. Now researchers in Japan are using wasabi's overpowering odor in a new type of smoke detector / fire alarm that wakes the deaf through scent instead of sound. 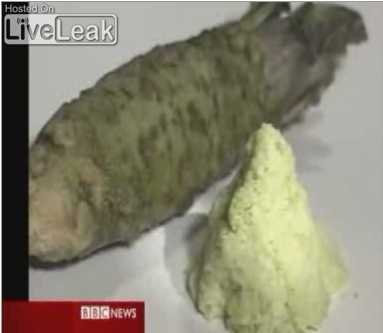 You may have seen or even eaten wasabi before - it's that little dab of light green paste that comes alongside and often inside sushi. As the old Brillcream ads used to say, however, "a little dab'll do ya"... wasabi is STRONG. Though not technically horseradish, wasabi packs a potent punch if you ingest too much at a time. Image a severe slurpee brain freeze, only hot... yes indeed, you want to be careful with wasabi! Wasabi's pungent perfume is said to be so strong it can wake the dead... but in this case, it's being used to wake the deaf. 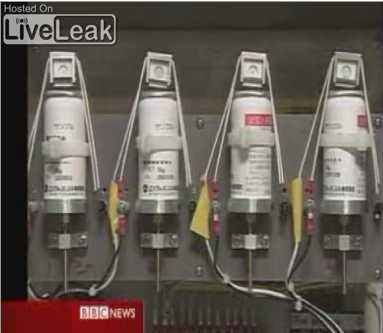 Prototypes of a new silent smoke alarm that sprayed canned wasabi extract into a room succeeded in waking 13 out of 14 test subjects within 2 minutes. One subject who is actually deaf awoke a mere 10 seconds after the wasabi essence was sprayed. "It reminded me of a time when I ate too much wasabi"
One might ask, "why not just use flashing lights"? It's true that some current silent smoke detecting fire alarms designed for the sonically impaired use strobe lights, but think about it - our eyes are closed when we slumber and many people sleep with the blankets pulled over their head. *** UPDATE, Sept. 30, 2011: The Japanese team who invented the Wasabi Silent Smoke Alarm has been awarded the "prestigious" Ig Nobel Prize for 2011. Now that's hot! Honda Appeals to "Man's Best Friend"
"Organic Solar Cells Coming To A Roof Near You"
Oh yeah! Please check out my Bottle Sling - Invention Gallery .